Newmarket’s hurlers bowed out of the EPS Bison Duhallow Junior Hurling Championship when they were defeated by Tullylease in a second round contest played at Meelin on Saturday evening on a scoreline of 2-12 to 0-14. For the second successive year, Newmarket suffered a heavy defeat to near neighbours and defending Duhallow champions, Meelin in the opening round of the EPS Bison championship by 3-15 to 1-4 in a contest played in an incessant downpour of rain in Newmarket on Thursday evening last. Newmarket’s junior hurlers bridged a gap of twenty seven years without silverware by claiming the Singleton Cup in style, against Millstreet in the final played at the latters venue on Saturday evening, eventually running out victors by 0-21 to 1-8. A stirring second half performance enabled Newmarket’s junior hurlers defeat Tullylease by 1-19 to 3-7 in the Singleton Cup semi final played in ideal conditions at Meelin on Saturday evening. Newmarket rounded off their junior hurling league campaign in the best possible fashion, with a fine victory away to Tullylease by 0-22 to 1-12, in splendid sunshine on Sunday afternoon. Despite a very encouraging display, Newmarket’s junior hurlers were narrowly defeated by Kilbrin in the league by 2-16 to 2-12 at Kilbrin on Tuesday evening. Newmarket’s junior hurlers just fell short in their third league outing against Banteer on Tuesday evening, an entertaining contest ending 2-10 to 1-11 in favour of the home side in a game played in ideal conditions. Newmarket suffered a crushing defeat in their second hurling league outing at home to Freemount on a dreary, wet Saturday evening, the visitors cruising to a 5-16 to 0-3 victory. Newmarket’s junior hurlers suffered defeat in their initial league outing of the season, where they went under to a sharp and lively Meelin side by 1-23 to 3-5 at the latter’s venue on Tuesday evening. Newmarket’s junior hurlers suffered a bitterly disappointing narrow defeat against Banteer by 1-8 to 0-10 in the opening round of the EPS Bison Duhallow Junior Hurling Championship played in constant rain at Kanturk on Tuesday evening. The torrential rain showers that preceded the game made conditions far from ideal but this did not deter both sides from serving up an entertaining contest in the most trying of circumstances. Newmarket’s hurlers were defeated by Meelin in an excellent Singleton Cup final played in perfect conditions at Newmarket on Sunday evening by 3-13 to 2-14. Newmarket qualified for the final of the Singleton Cup when they defeated Freemount in a semi final contest played in difficult, wet conditions at Newmarket on Saturday evening by 2-11 to 3-6. 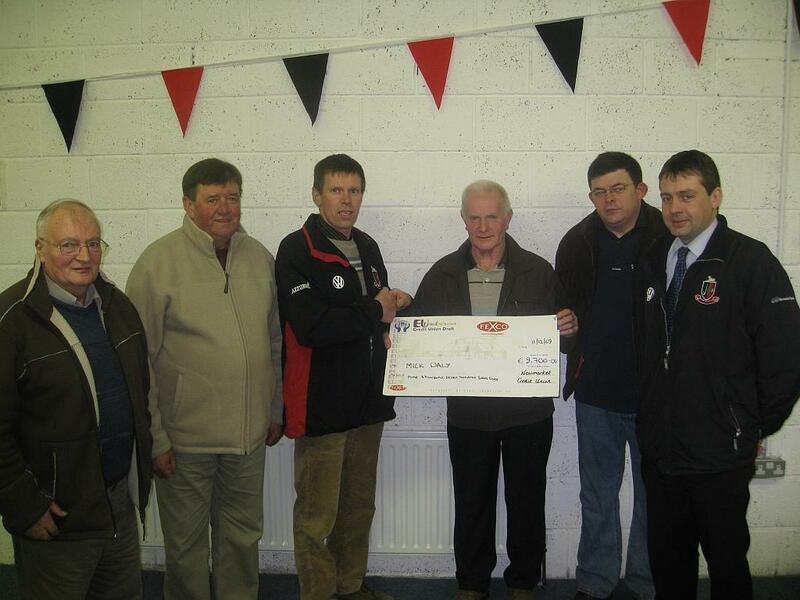 Newmarket were defeated in the Kanturk Credit Union junior hurling league by Millstreet at the latter’s venue on Sunday afternoon by 2-17 to 0-12. Newmarket were denied agonisingly at the death of their hurling league contest at home to Kilbrin on Friday evening, falling just short by a solitary point, 3-10 to 1-15. Newmarket edged past Kanturk in a thrilling junior B hurling league quarter final played at Newmarket on Sunday morning, a memorable contest ending 2-19 to 3-12. Newmarket travelled to Freemount on Monday evening and were defeated by the home side, 4-6 to 0-12 in the junior B hurling league. Newmarket suffered the first defeat of their league campaign when they were on the receiveing end of a fine Lismire comeback at the latters venue on Thursday evening, the game ending 1-13 to 0-14, with Newmarket having enjoyed a six point advantage at the halfway mark. Newmarket’s junior hurlers bowed out of this years EPS Bison Duhallow championship at the semi final stage, when despite a brave, spirited effort they succumbed to a strong Tullylease side in the closing minutes, 1-16 to 2-7 at Lismire on Tuesday evening last. 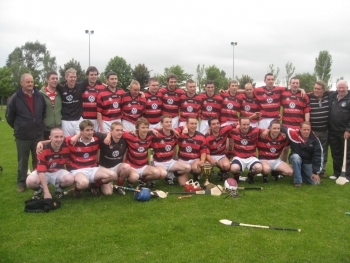 Newmarket maintained their unbeaten run in this year’s Junior B hurling league when they recorded their third victory from as many outings, on bettering Dromtariffe by 1-9 to 0-6 on a miserable Monday evening at Dromtariffe. Newmarket had to put behind them a thoroughly disappointing first half display, in which they failed to register a score, to turn around and make amends with a much better second half performance. Newmarket’s junior hurlers recorded a really notable victory when they disposed of defending champions Kilbrin in the EPS Bison Duhallow hurling championship by 0-17 to 0-16 after a very entertaining contest at Tullylease on Friday evening, with the sides level on no less than nine occasions during the hour.